Animal and Dairy Sciences associate professor Trent Smith scores cattle shedding at the H.H. Levick Animal Research Center. Photo by David Ammon. A high priority among producers is to ensure that livestock are comfortable, however, a cow’s inability to shed at the proper time may impact production performance. 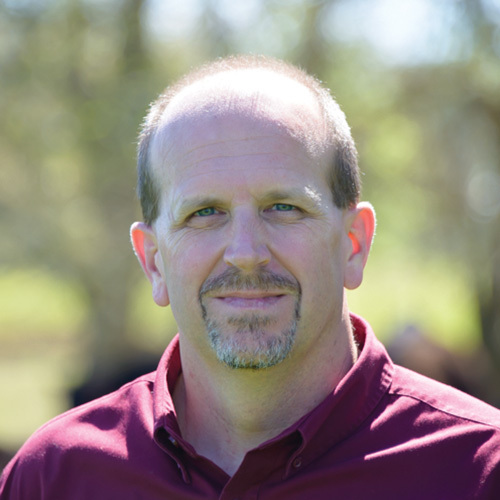 Dr. Trent Smith, associate professor in the Department of Animal and Dairy Sciences, recently discovered that cows that shed earlier in the season wean heavier calves. Cows don’t sweat the way humans do, so their ability to regulate their body temperature depends largely on behavior, for example, by seeking shade or water to wade in, as well as on their ability to shed. When the cow spends too much time trying to cool down, she isn’t able to spend enough time grazing to produce proper amounts of milk for her calf. Smith, a scientist in the Mississippi Agricultural and Forestry Experiment Station, and colleagues have worked to quantify the impact of this cycle by scoring the amount of shedding an individual cow has done at various points during the spring, and then recording the weaning weight of her calf. “We’ve been gathering data since 2007, and have found that Angus cows who shed earlier actually wean heavier calves. If the cow has shed 50 percent of her coat by the end of May, her calf is likely to be heavier at weaning than one born to a cow that sheds later in the summer, or 50 percent of her coat by June or July,” Smith stated. The cattle are scored using a system that was developed in collaboration with other scientists at North Carolina State University. The scorer examines each cow to determine how much coat has been shed and ranks it on a scale of one through five. A cow scored with a five hasn’t shed at all, whereas a cow scored one indicates that the animal has completely lost its winter coat. hedding scores are subjective—it is up to the scorer to make a decision—however, the researchers accounted for this by having two trained technicians separately score each cow, and then averaging the scores together. Mississippi summers are famous for their extended periods of heat and humidity. For most beef cattle, which are largely adapted to more temperate climates, not shedding their winter coat quickly enough could mean being stuck with a heavy hair coat during the hottest months of the year. For this reason, shedding on time could be central to the comfort of the animal. 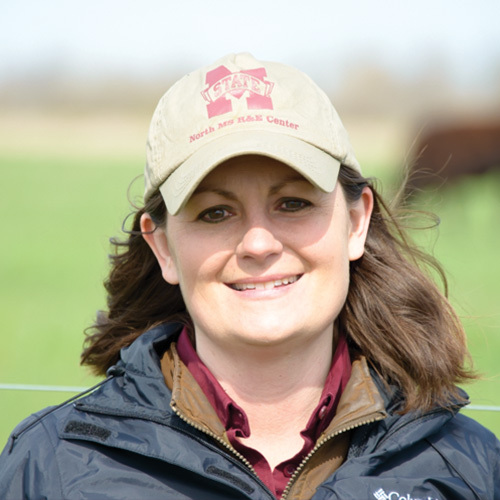 Dr. Jane Parish, research and extension professor in the Department of Animal and Dairy Sciences, helped with the project by scoring cattle. There is an art to looking at a cow and determining how much it has shed, especially when the cattle vary in coat length or texture. “What became evident as we did this is that there are certain patterns. 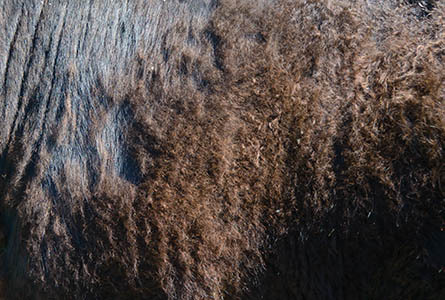 The belly hair is usually lost last, and you begin to see a shine in areas, like the flanks and neck, where the cow has shed out more. It’s a little tricky because some cattle have naturally longer coats than others, but that doesn’t necessarily mean they haven’t shed as much,” Parish explained. “For this project, Dr. Smith and colleagues took shedding scores on over 6,000 cows, in multiple states—including Mississippi, Texas and North Carolina. The scoring system is to act as a tool that any producer can use without special equipment or needing to handle the cows, so it can be done quickly and cheaply. They are able to look at their herd to assess how they are shedding, and then evaluate production performance in the context of calf weight,” said Parish. Although they know that shedding quickly can benefit the cow in hot climates like Mississippi, researchers aren’t sure exactly which factors influence when a cow sheds. There are other factors that can affect the hair coat such as diet and certain hormones. Though forages provide the nutrients cows need, some may also cause hair retention into the summer. “There are often toxins produced in tall fescue, a common forage that causes cattle to retain their hair coat into the summer. This contributes to what is called the ‘summer slump’ or fescue toxicosis in cattle and it impacts milk production and growth,” Smith said. Hormones could also impact hair coat shedding, and hormonal therapy is something that researchers have considered as a way to encourage cows to shed. At this point, breeding for early shedding may be the best option for producers looking to ensure that their cattle are more suited to their environment. Smith found that shedding time is inherited at 35 to 42 percent; which means that parents selected to shed early can pass that performance on to their offspring. However, researchers are still collecting data to determine exactly which genes control shedding time. While early coat shedding may be advantageous in Mississippi’s subtropical climate, in places with long, bitter winters, cows may be better suited to put coats on earlier and keep them longer. “We’re finding that when the cow is most comfortable and well-adapted to its environment, it is able to perform at the best possible level,” Parish said. In the future, Smith and Parish hope to pinpoint which genes cause shedding, so that strains of cattle can be selected that perform best within any given environment. This work was funded by the American Angus Association, MAFES, and the Mississippi Beef Cattle Improvement Association in conjunction with North Carolina State University. Focus: Genetic parameters in performance, carcass, and consumer-related traits in beef cattle. Passion At Work: I really enjoy teaching students and answering questions through applied research to help beef producers become more profitable. 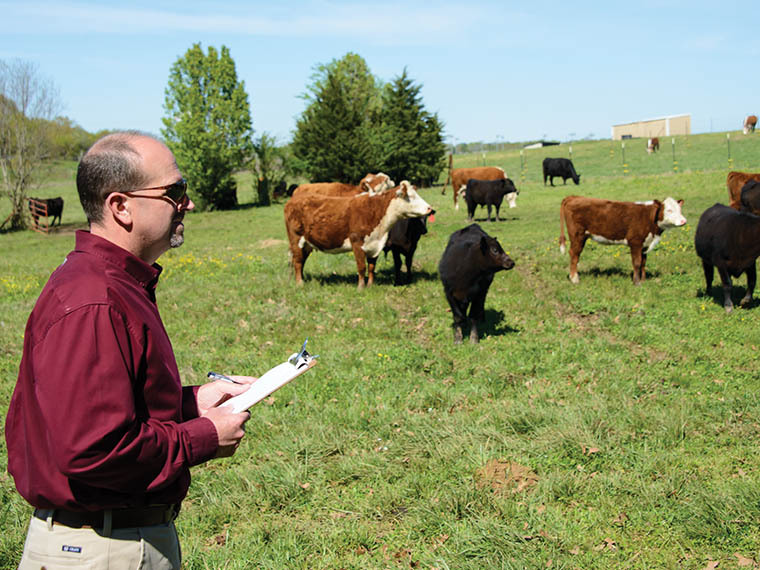 Focus: Beef cattle management research and extension. Passion At Work: I am passionate about helping producers become more profitable.